I cut it into so that the length was right at my knee, and the width was my bust measurement + 1/2 of my bust measurement. 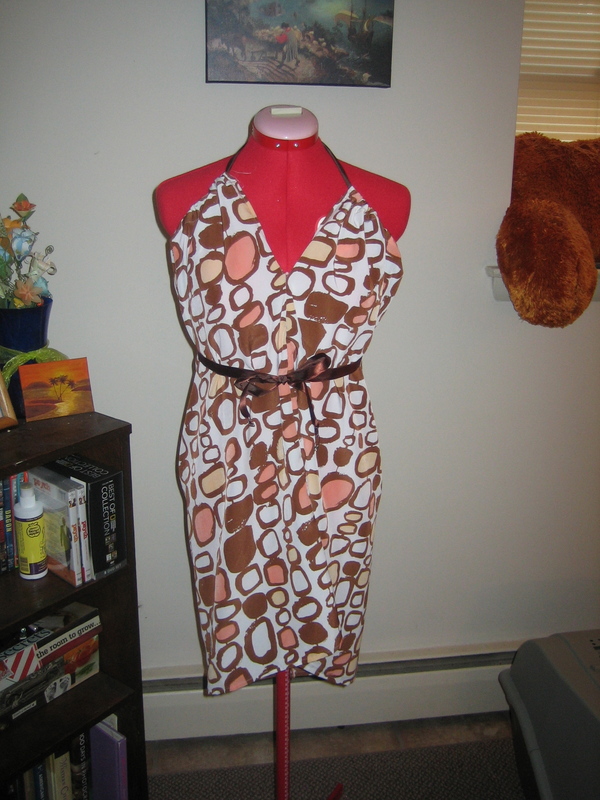 I cut it in half so that I had two pieces that were knee length, then I hemmed all four sides of each one. 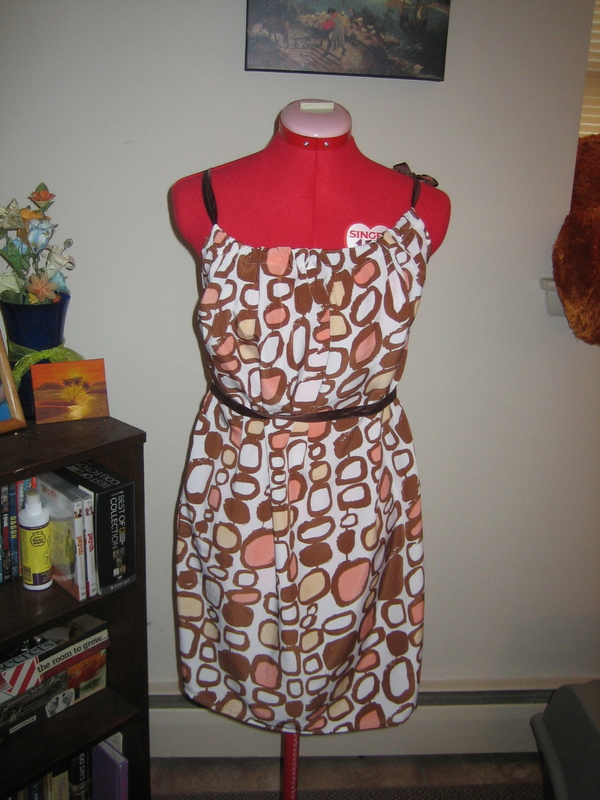 This is basically American Apparel’s Le Sac dress, so you can go here to see lots of different ways you can wear it! Isn’t that nifty?! 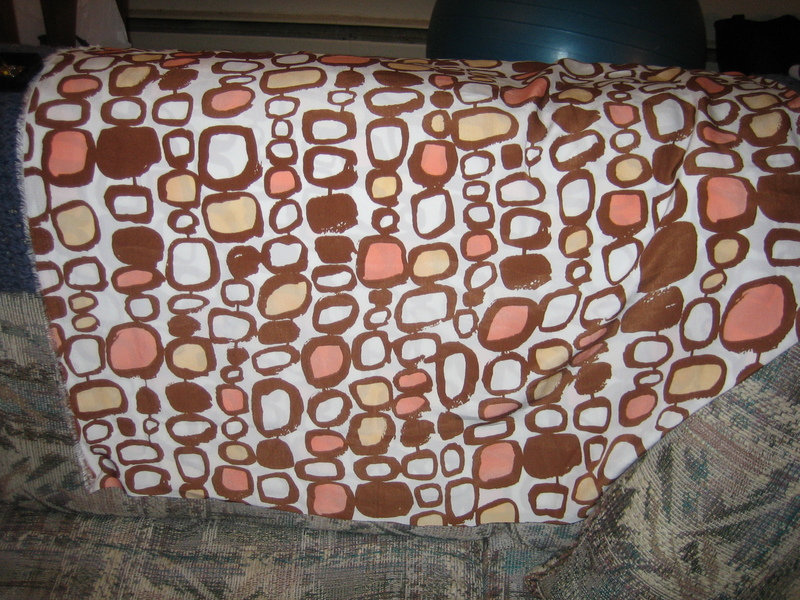 (For those of you with good memories, I made one of these last summer out of some white silky fabric. Somehow, don’t ask me how, I lost it. How do you lose a dress? I don’t know. Anyway, it’s gone.) Craft 22 of 52: Complete! I took a break to play with the kitties at this point. I dangled a long strip of the fabric I’d just trimmed off my dress and they chased it all over the place. 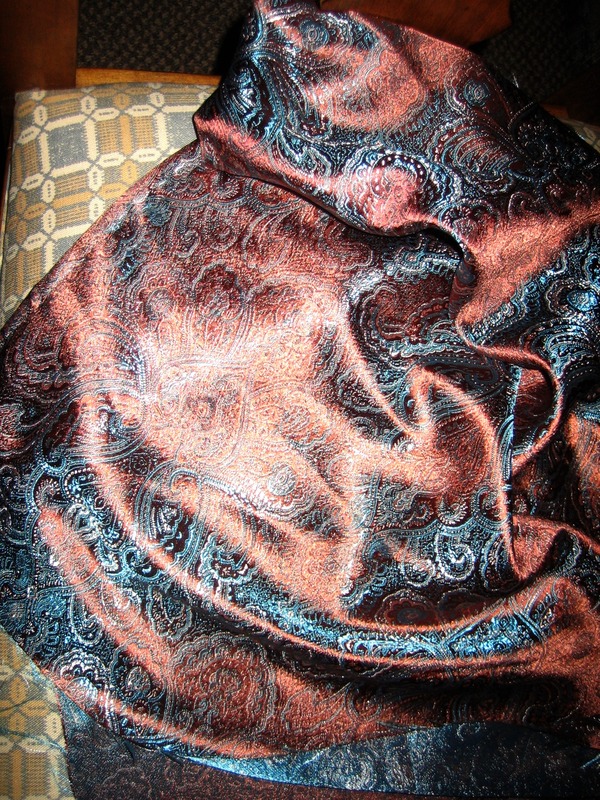 At one point, I was twirling around in the bedroom, while the cats both chased the fabric around and around as I spun. Then I got so dizzy I thought I would throw up. It was worth it. After that, I got back to sewing! 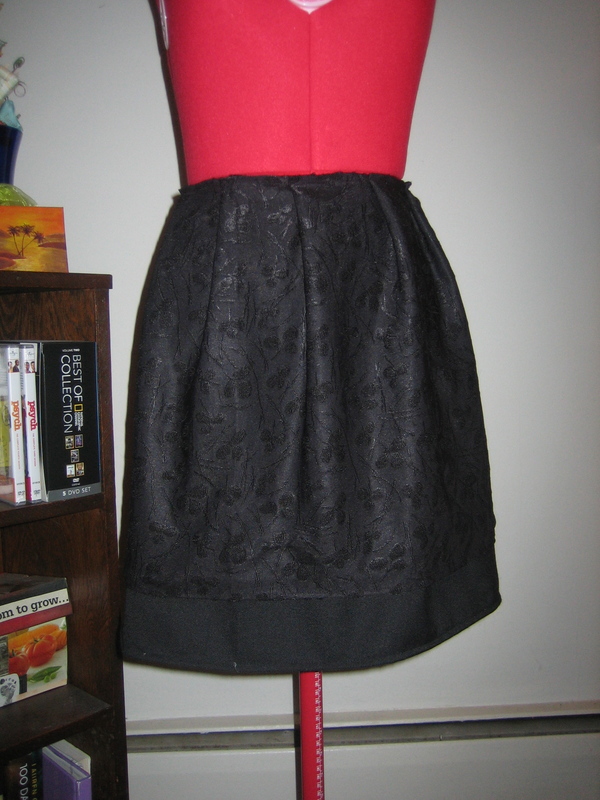 This past winter, I made a sweet black velvet skirt and it was so nice I wanted a summertime version. 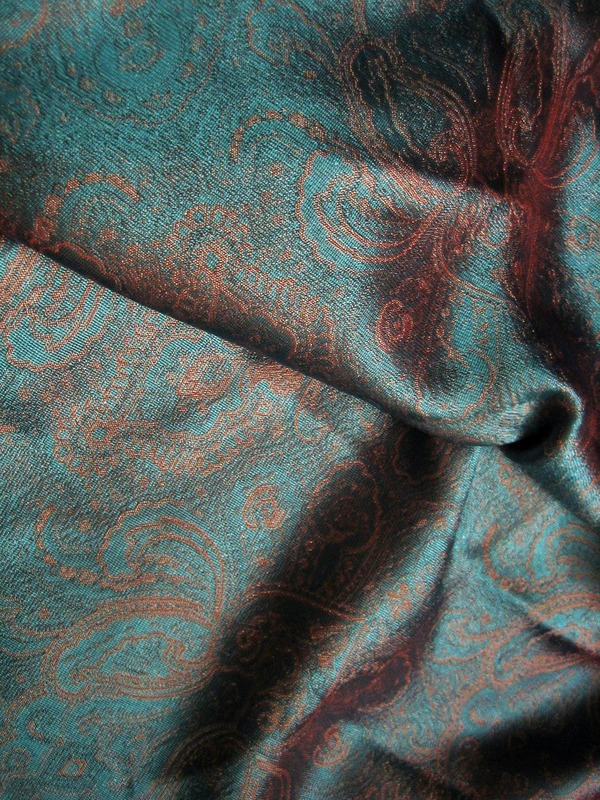 I grabbed two different black materials, one an almost sheer silk with leaves embroidered on it and the other a thicker, stiffer cotton. I hemmed them together at the top, and then hemmed the sides and bottom. The bottom was tricky because the underlayer was three inches longer than the top. 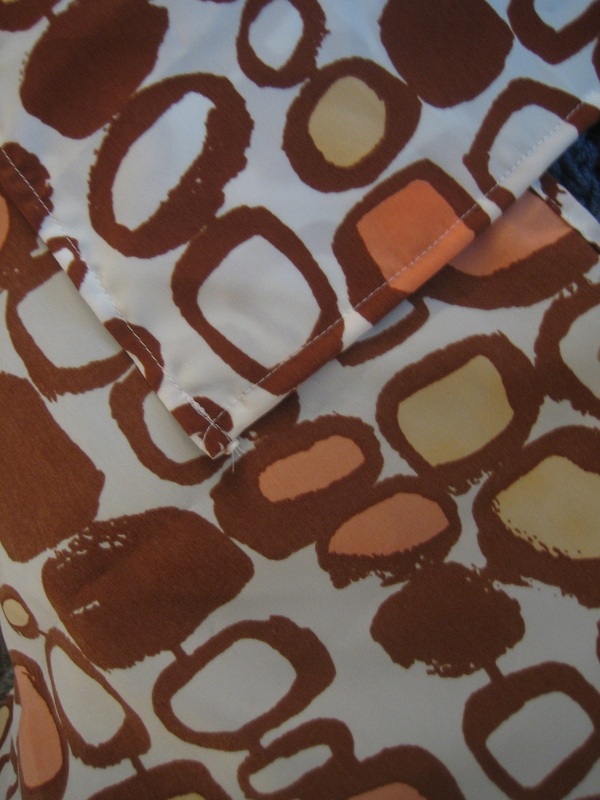 It made the skirt look neat, but was tougher to sew. 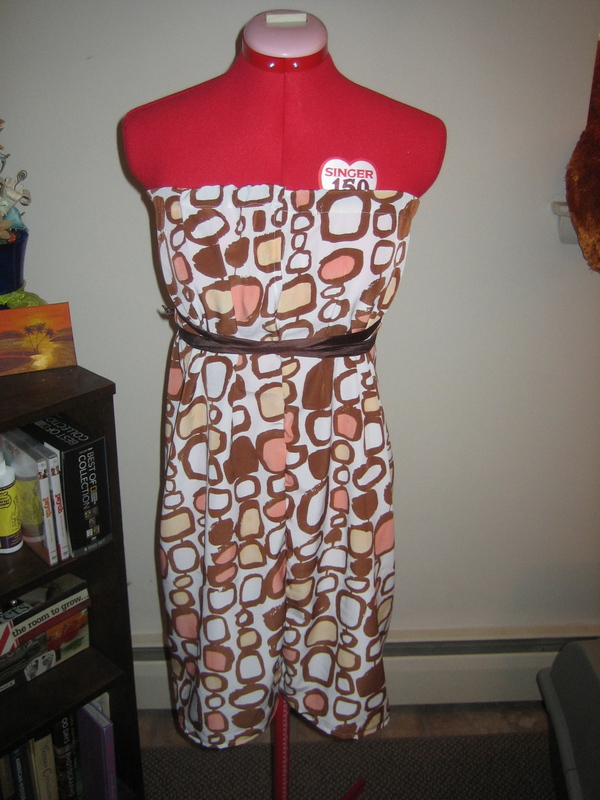 Then I added a zipper and some pleats and adjusted it until it was just right! I’m pleased with it! It’ll be a nice staple for my summer work wardrobe! Craft 23 of 52: Complete! It has a beautiful brown/blue thing going on and I love it! I was so shocked to open it up, though! I am able to keep abreast of your blogging from playa del Carmen so you can add that to your list of readers from afar! Love the new dress you made. You seem to be ahead of schedule with the number of crafts you have made this year.